IOWATER is a citizen-based program, directed by volunteer’s needs within the communities. IOWATER focuses on solutions, not just documenting problems. IOWATER is interested in results, not regulation. IOWATER is flexible, allowing local groups to design their own monitoring and action plans. IOWATER is committed to partnerships, developing local working partners and sharing information and resources within state and federal agencies. IOWATER will concentrate on a watershed approach, integrating land use, soil concerns, and the water bodies involved. What is an IOWATER Introductory Workshop? 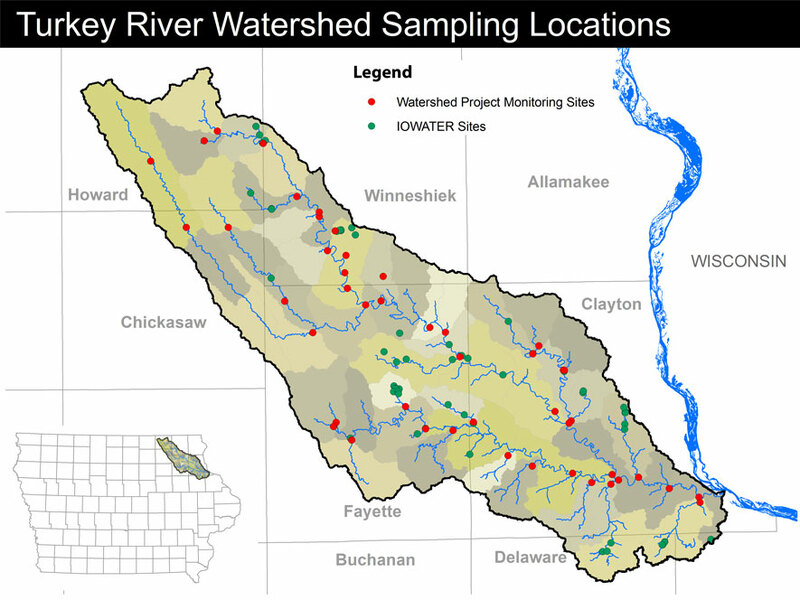 IOWATER is a statewide volunteer water quality monitoring program. 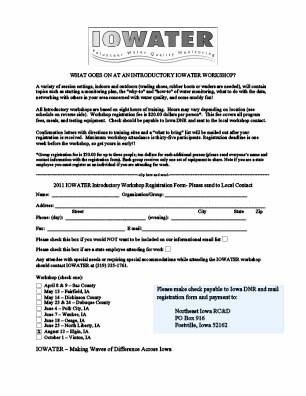 Introductory workshops are open to any individual or group that is interested in water quality. Upon completion of the workshop, you will be a certified IOWATER Citizen Monitor. The workshop is based on eight hours training; exact times varying depending on location. Workshop registration fee is $20, which covers all program fees, meals, and testing equipment. Group registration fee is $30 for up to three people; ten dollars for each additional person. The deadline for registration is Wednesday, August 3rd.